Home › 5 (2017) 4 › Keywording the Field: From Popular to Public History? Keywording the Field: From Popular to Public History? Das Feld markieren: Von der Populärgeschichte zur Public History? Popular and populism are tricky terms. The former means “aimed at ordinary people; intended for general consumption”, and the latter the “practice of appealing to the interests of the common people”. At the core of their many meanings is the Latin popularis: “belonging to the people”. Negative modern connotations of being “widely favoured” or “well-liked” draw on a long history in the English language. Gaining popularity involves courting favour; culturally, the popular is supposedly of inferior quality, appealing to the tastes of mass audiences. Populism has darker undertones. -Ism implies structure and purpose, suggesting a programme for representing and speaking to popular interests – but one that all too often involves manipulation, prejudice and agitation. What is popular, what is made for or by “ordinary people”, is defined in irreconcilable difference from that which is for or by “specialists” or “elites”. If those ordinary people are not the lumpen masses, but – as per Farage – the real, decent and hard-working, it becomes clear how populists can manage their opponents. Urban, liberal elites are out of touch; the “establishment” is self-interested and self-perpetuating; expertise is irrelevant, trumped by instinct and common-sense. Populist rhetoric keeps these categorisations – “ordinary”, “elite” and so on – deliberately opaque. Are the 48% who cast their vote for Remain in the UK all elite? Just under 13 million people did not vote, meaning 37% of the electorate chose Leave (the first post-referendum poll indicated that abstainers were 2:1 Remain supporters). So if the “Great British people” have spoken, what did they say? Public History as Popular History? But how does all this relate to public history? I have taken a circuitous route, but I think the current climate of political populism points us to an important, and under-developed, discussion in the field. In referring to public history, I wonder if we often have popular history in mind – but “popular” in what sense of the word: history belonging to the people, made for their consumption, or just produced to find their favour? (I suspect we could find all these explanations represented in university history departments.) This brings me to what I really want to ask here, which is how might popular differ from public history? The concept of “public” as it has developed over time carries more complex and multi-faceted meanings than does “popular” or its associated terms. The origins lie in poplicus, later publicus, concerned with defining legitimate membership of polities. Being increasingly opposed to “private” in modern usage, connotations such as openness and accessibility, and a sense of shared or collective knowledge and resources have emerged. “Public” does carry some sense of the division explored above in relation to “popular”. There is the public who are affected by legal, political, economic and social matters debated and decided in public institutions such as Parliament. Yet it is a much smaller number of people who are active in shaping and ordering public life. Membership of the Greek or Roman polity was not available to all. As Mary Beard’s lecture, “The Public Voice of Women”, powerfully shows, public speech has been seen as a potentially dangerous and disruptive thing – something to control and curtail – for as long as there has been a sense of a public realm. For me, Beard’s lecture and her broader public work on gender and history form a prime example of truly public history, not just in terms of subject matter but because she takes public debate as an arena for serious engagement with the past. She gives people intellectual resources with which think carefully and coherently about issues that matter today. Much of the space under the umbrella of public history will always be taken by forms of popular history: by documentaries, journalism and popular writing (all of which Beard has done); by exhibitions, drama and heritage trails, among many others. But public history needs to be more than the sum of these parts. There must also be space for leading and convening public debate in ways that refuse to divide audiences and contributors into “ordinary” and “expert”, despite the tendency to privilege the one or the other category. This is why I think it is so important that there is a “public debate and policy” category in the 2018 suite of Royal Historical Society public history prizes, for which I am a juror. We are aiming to recognise “scholarship and public outreach by historians that seeks to enhance the quality of public debate on policy and other issues of public concern.” I look forward to reading the entries, because this work matters now more than ever. Jordanova, Ludmilla. “Public history: a provocation.” Talk at the first Public History Prize Workshop, 29 October 2015, at the Institute of History Research, London. http://royalhistsoc.org/ludmilla-jodanova-public-history-workshop-a-provocation/ (last accessed 9 January 2017). Karp, Ivan. “Public scholarship as a vocation.” Arts and Humanities in Higher Education 11/3 (2012): 285-299. Stevens, Mary. “Public policy and the public historian: the changing face of historians in public life in France and the UK.” The Public Historian 32/3 (Summer 2010): 120-138. Royal Historical Society. “Public History Prize.” http://royalhistsoc.org/prizes/public-history-prize/ (last accessed 12 January 2017). Mary Beard. “A Don’s Life.” http://www.the-tls.co.uk/category/a-dons-life/ (last accessed 12 January 2017). See Raymond Williams, Keywords: A Vocabulary of Culture and Society, 2nd ed. (London: Fontana, 1983), 236-238 (“popular”). See the video “Nigel Farage: ‘This will be a victory for real people’,” The Guardian, June 24, 2016, https://www.theguardian.com/politics/video/2016/jun/24/nigel-farage-eu-referendum-this-victory-for-real-people-video (last accessed 1 January 2017). See British Prime Minister Theresa May’s comments during her speech to the Conservative Party conference: “But if you believe you’re a citizen of the world, you’re a citizen of nowhere. You don’t understand what the very word ‘citizenship’ means.” Full text: “Theresa May’s conference speech in full,” The Telegraph, October 5, 2016, http://www.telegraph.co.uk/news/2016/10/05/theresa-mays-conference-speech-in-full/ (last accessed 10 January 2017). Vivienne Walt, “Q&A: Marine Le Pen on Populism, Trump and Europe’s Future,” Time, December 6, 2016, http://time.com/4590375/donald-trump-poy-marine-le-pen-france/ (last accessed 9 January 2017). See Adrian Low, “Brexit is not the will of the British people – it never has been,” London School of Economics and Political Science Blog, October 24, 2016, http://blogs.lse.ac.uk/brexit/2016/10/24/brexit-is-not-the-will-of-the-british-people-it-never-has-been/ (last accessed 9 January 2017). See Tony Bennett, Lawrence Grossberg and Meaghan Morris, New Keywords: A Revised Vocabulary of Culture and Society (Oxford: Blackwell, 2005), 282-286 (“public”) and 262-264 (“popular”). Mary Beard, “LRB Winter Lectures: The Public Voice of Women,” London Review of Books 36/6 (20 March 2014): 11-14. Royal Historical Society, “Public History Prize: Eligibility Criteria & Guidelines for Nominations,” http://royalhistsoc.org/prizes/public-history-prize/ (last accessed 17 January 2017). Photograph by PixabayUser MariamS © Public Domain, https://pixabay.com/de/forum-romanum-rom-italien-roman-448426/ (last accessed 27 January 2017). Green, Alix: Keywording the Field: From Popular to Public Histroy? In: Public History Weekly 5 (2017) 4 , DOI: dx.doi.org/10.1515/phw-2017-8238. In einer Welt, in der die “Stimme des Volkes” von populistischen PolitikerInnen als Rechtfertigung ihrer nativistisch-xenophoben Programme beschworen wird, sollten wir uns dringend mit der Bedeutung des Wörtchens “public” in “Public History” beschäftigen. Die öffentliche Auseinandersetzung mit der Vergangenheit mag immer ein wichtiger Gegenstand unserer Forschung bleiben, aber wirkliche Public History muss sich unbedingt auch mit der politischen Gegenwart befassen. Wenn wir den Menschen nicht die intellektuellen Ressourcen unserer Disziplin zur Verfügung stellen, dürfen wir uns im Nachhinein nicht über den Gebrauch und Missbrauch von Geschichte in der Öffentlichkeit beschweren. Höchste Zeit, uns unsere Begriffe genauer anzusehen. Populär und Populismus sind heikle Begriffe. Ersterer bedeutet so viel wie “an das einfache Volk gerichtet; für den allgemeinen Gebrauch bestimmt”, während letzterer die “Praxis, an die Interessen des gemeinen Volkes zu appellieren” bezeichnet. Beide gehen auf das Lateinische popularis zurück: “zum Volk gehörig”. Vor allem in der englischen Sprache hat das Äquivalent popular mit seinen Bedeutungen “beliebt” und “häufig angewandt, verwendet” allerdings auch negative Konnotationen. An Popularität zu gewinnen, heißt sich der Masse anzubiedern: Kulturell haftet dem Populären das Vorurteil der geringen Qualität sowie der Ausrichtung am Geschmack des Massenpublikums an. Populismus wiederum ruft dunklere Assoziationen hervor. -Ismus impliziert eine gewisse Struktur und Absicht, ein Programm, das sich als Sprachrohr für die Interessen der Allgemeinheit versteht – aber allzu oft Manipulation, Vorurteil und Hetze mit sich bringt. Die Entwicklung dieser heiklen Begriffe ist keineswegs abgeschlossen; schon gar nicht in einer Zeit, in der der Populismus wieder salonfähig zu werden scheint. Populistische Politiker wie Nigel Farage, der ehemalige Vorsitzende der britischen UKIP (UK Independence Party), berufen sich oft auf die ursprüngliche Bedeutung des Begriffes Populismus als “Zugehörigkeit zum Volk” oder “Interessensvertretung des Volkes”. Das ist natürlich kein Zufall. Wenn Farage das Ergebnis des Brexit-Referendums einen “Sieg für echte Leute, einen Sieg für gewöhnliche Leute, einen Sieg für anständige Leute” nennt, können wir den emotionalen Appeal dieser Aussage nicht abstreiten, selbst wenn wir die zugrundeliegende Agenda ablehnen. Echt, gewöhnlich, anständig – diese Werte werden mit nationaler Identität gleichgesetzt, ganz so als ob ein nativistisches Verlangen danach, das “eigene Land an erste Stelle zu setzen” und “die Kontrolle zurückzuerobern”, der einzig wahre Ausdruck von Staatsbürgerschaft sei. Schlagkraft verleiht letztlich Legitimität: Nach dem Brexit und Trumps Wahlsieg, so die Vorsitzende der französischen Front National, Marine Le Pen, “hat die Rückkehr des Volkes offensichtlich begonnen”. Das Populäre, also das, was für und von “gewöhnlichen Leuten” gemacht wird, wird definiert durch strikte Abgrenzung gegenüber allem, was mit “Experten” oder “Eliten” zu tun hat. Wenn mit diesen “gewöhnlichen Leuten” nicht das “Lumpenproletariat”, sondern die echten, anständigen und tüchtigen ArbeiterInnen gemeint sind, dann wird klar, wie PopulistInnen ihre GegnerInnen in die Schranken weisen. Die urbane, liberale Elite habe nach ihrer Argumentation jeglichen Bezug zur Realität verloren; das “Establishment” sei ausschließlich an sich selbst interessiert; ExpertInnenwissen sei irrelevant und werde gegenüber dem Instinkt und Hausverstand der einfachen Leute den Kürzeren ziehen. Die populistische Rhetorik hält Kategorien wie “gewöhnlich”, “elitär” etc. mit Absicht sehr verschwommen. Gehören jene 48 Prozent der BritInnen, die für den Verbleib in der Europäischen Union gestimmt haben, wirklich alle zur Elite? Knapp unter 13 Millionen BürgerInnen gingen nicht zur Abstimmung, so dass schließlich 37 Prozent der Wählerschaft für den Austritt votierten (die ersten Umfragen nach dem Referendum ergaben, dass StimmenthalterInnen im Verhältnis 2:1 den Verbleib in der EU unterstützten). Wenn also das “große britische Volk” gesprochen hat, was hat es gesagt? Public History als populäre Geschichte? Aber was hat das alles mit Public History zu tun? Ich habe hier einen Umweg eingeschlagen, weil ich denke, dass das gegenwärtige Klima des politischen Populismus uns auf eine wichtige und bislang unterentwickelte Diskussion in unserem Forschungsfeld hinweist. 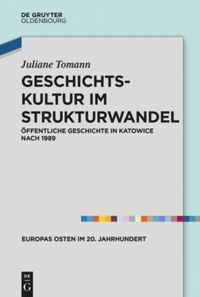 Wenn ich an Public History denke, frage ich mich, ob wir hier eigentlich oft populäre Geschichte im Sinn haben – und wenn ja, mit welcher Bedeutung? Geschichte, die den Menschen gehört, die für deren Konsum bestimmt ist oder die einfach produziert wird, um deren Zustimmung zu finden? (Ich nehme an, dass alle diese Spielarten an universitären Geschichtsinstituten vertreten sind.) Dies bringt mich zu der Frage, der ich mich hier eigentlich widmen möchte: Wie könnte sich populäre Geschichte von Public History unterscheiden? Das Konzept des englischen public (“öffentlich”) ist in seiner Bedeutung noch um vieles komplexer und vielschichtiger als der Begriff des “Populären” oder damit verbundene Termini. Sein Ursprung liegt im Lateinischen poplicus bzw. dem späteren publicus, das die rechtmäßige Mitgliedergemeinschaft in einem Staatswesen bezeichnete. Im modernen Gebrauch entwickelte es sich zunehmend zum Gegenbegriff des “Privaten” und wurde um Konnotationen wie Offenheit, Zugänglichkeit und der Vorstellung kollektiver Ressourcen und eines kollektiven Wissenskanons erweitert. Das englische public, so wie das deutsche “öffentlich”, tragen etwas von der Zweiteilung in sich, die auch für den Begriff des “Populären” festgestellt wurde. Es gibt einerseits die Öffentlichkeit, die von jenen rechtlichen, politischen, ökonomischen und sozialen Angelegenheiten betroffen ist, die in öffentlichen Institutionen wie etwa dem Parlament debattiert und entschieden werden. Es ist aber andererseits eine sehr viel kleinere Gruppe an Menschen, die aktiv an der Gestaltung und Ordnung des öffentlichen Lebens beteiligt ist. Die Mitgliedschaft in den griechischen und römischen Staatswesen beispielsweise war bei weitem nicht allen Menschen zugänglich. Wie Mary Beards Vorlesung “The Public Voice of Women” eindrucksvoll darlegt, wurde die öffentliche Rede schon immer als potenziell gefährlich und aufrührerisch wahrgenommen – und zwar schon so lang, wie sich die Vorstellung vom öffentlichen Raum zurückverfolgen lässt. Meiner Meinung nach stellen Beards Vorlesung und allgemein ihre Arbeit im Bereich von Gender und Geschichte ein Paradebeispiel für wirkliche Public History dar, nicht nur hinsichtlich ihrer Inhalte, sondern auch weil sie die Öffentlichkeit als Schauplatz einer ernsthaften Auseinandersetzung mit der Vergangenheit versteht. Beard stellt den Menschen intellektuelle Ressourcen zur Verfügung, mit denen sorgfältig und schlüssig über gesellschaftlich relevante Themen nachgedacht werden kann. Vieles von dem, was unter “Public History” zusammengefasst wird, gehört in den Bereich der populären Geschichte: Dokumentationen, Journalismus und Populärliteratur (alles Sparten, an denen sich auch Beard beteiligt hat); Museumsaustellungen, Theater und historische Lehrpfade – um nur einige Beispiele zu nennen. Das wird auch in Zukunft so bleiben. Aber Public History muss mehr sein als die Summe all dieser Teile. Es muss auch Raum geschaffen werden für öffentliche Auseinandersetzung in einer Art und Weise, die auf eine Unterteilung des Publikums und der Mitwirkenden in “gewöhnliche Menschen” und “Experten” verzichtet. Deshalb finde ich es so wichtig, dass es bei der Verleihung der “Public History Prizes” der Royal Historical Society im Jahr 2018, in der ich Jurorin sein werde, erstmals eine Kategorie mit dem Titel “Public debate and policy” geben wird. Unser Ziel ist es, die “Forschung und Öffentlichkeitsarbeit von HistorikerInnen, die zur Qualitätssteigerung der öffentlichen Auseinandersetzung mit Politik und anderen Themen von öffentlichem Interesse beitragen”, gebührend anzuerkennen. 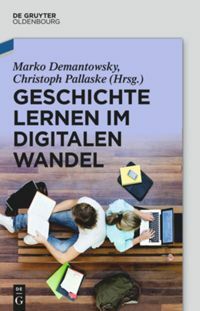 Ich freue mich darauf, die Beiträge zu lesen, denn diese Arbeit ist heute relevanter als je zuvor. 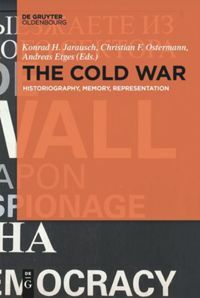 Ludmilla Jordanova: Public history. A provocation. Vortrag während des ersten Public History Prize Workshop am 29. Oktober 2015 am Institute of History Research in London. http://royalhistsoc.org/ludmilla-jodanova-public-history-workshop-a-provocation/ (letzter Zugriff: 09.01.2017). Ivan Karp: Public scholarship as a vocation. In: Arts and Humanities in Higher Education 11 (2012), H.3, S. 285-299. Mary Stevens: Public policy and the public historian. The changing face of historians in public life in France and the UK. In: The Public Historian 32 (Sommer 2010), H.3, S. 120-138. Royal Historical Society: Public History Prize, http://royalhistsoc.org/prizes/public-history-prize/ (letzter Zugriff: 12.01.2017). Mary Beard: A Don’s Life, http://www.the-tls.co.uk/category/a-dons-life/ (letzter Zugriff: 12.01.2017). Raymond Williams: Keywords. A Vocabulary of Culture and Society. 2. Auflage, London 1983, S. 236-238 (“popular”). Siehe dazu das Video “Nigel Farage: ‘This will be a victory for real people’.” In: The Guardian, 24. Juni 2016, https://www.theguardian.com/politics/video/2016/jun/24/nigel-farage-eu-referendum-this-victory-for-real-people-video (letzter Zugriff: 01.01.2017). Siehe dazu die Bemerkungen der britischen Premierministerin Theresa May während ihrer Rede auf der Konferenz der Conservative Party: “Wer Weltbürger sein will, gehört nirgendwo richtig dazu. Dann hat man nicht einmal verstanden, was das Wort ‘Bürgerschaft’ überhaupt bedeutet.” Volltext: Theresa May’s conference speech in full. In: The Telegraph, 5. Oktober 2016, http://www.telegraph.co.uk/news/2016/10/05/theresa-mays-conference-speech-in-full/ (letzter Zugriff: 10.01.2017). Vivienne Walt: Q&A: Marine Le Pen on Populism, Trump and Europe’s Future. In: Time, 6. Dezember 2016, http://time.com/4590375/donald-trump-poy-marine-le-pen-france/ (letzter Zugriff: 09.01.2017). Adrian Low: Brexit is not the will of the British people – it never has been. In: London School of Economics and Political Science Blog, 24. Oktober 2016, http://blogs.lse.ac.uk/brexit/2016/10/24/brexit-is-not-the-will-of-the-british-people-it-never-has-been/ (letzter Zugriff: 09.01.2017). Tony Bennett, Lawrence Grossberg und Meaghan Morris: New Keywords. A Revised Vocabulary of Culture and Society. Oxford 2005, S. 282-286 (“public”) und S. 262-264 (“popular”). Mary Beard: LRB Winter Lectures: The Public Voice of Women. In: London Review of Books 36/6 (20. März 2014), S. 11-14. Royal Historical Society: Public History Prize: Eligibility Criteria & Guidelines for Nominations. http://royalhistsoc.org/prizes/public-history-prize/ (letzter Zugriff: 17.01.2017). Foto von PixabayUser MariamS © Public Domain, https://pixabay.com/de/forum-romanum-rom-italien-roman-448426/ (letzter Zugriff am 27.01.2017). Green, Alix: Das Feld markieren: Von der Populärgeschichte zur Public History? In: Public History Weekly 5 (2017) 4, DOI: dx.doi.org/10.1515/phw-2017-8238.